A seaplane tender built by Lawrence of Arabia will make its way round the coast from Lymington and enter the Thames later this month before taking up residence at the Royal Air Force Museum London. 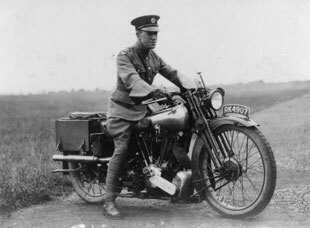 It is a little known fact that following his service in the First World War leading an Arab revolt against Ottoman rule, TE Lawrence entered the Royal Air Force’s Marine Section in 1925 under the pseudonym TE Shaw. There he worked with the British Power Boat Company developing faster and more effective rescue boats after witnessing a fatal seaplane crash in 1931. His work led to the development of a new breed of rescue boats, which helped save 13,000 lives during the Second World War, rescuing downed airmen and Royal Navy personnel. The launch, ST206, will leave Lymington on 30 April and stop at Shoreham, Newhaven and Dover before entering the Thames Estuary and stopping ultimately at St Katherine’s Dock in London. There she will be lifted onto a truck for her final journey to the museum.